There are countless ways to approach even a brief outline of Herheim’s staging – and even when one has seen it but once. (Doubtless, as with his Parsifal, subsequent viewings will reap further, dialectical rewards.) We might usefully start with the conception of Meistersinger as Hans Sachs’s dream, but fascinating though that idea and its implications may be, equally important, and indeed unavoidable in any discussion, is Herheim’s interrogation of dreams and indeed of his own Konzept. In that, of course, he both mirrors and interrogates Wagner’s own conceptions of dreams within the work. One is always aware of the latter, yet it is striking how heightened the role of dreams in poem and music becomes when an intelligent, sympathetic director heightens intellect and feeling, bids them become one. In the first act Prelude we see Sachs in his nineteenth-century workshop, dreaming, like Wagner, of a Nuremberg, which, like the ‘traditional’ productions of ‘traditionalists’, never was; we proceed to see – and to hear – how he creates, not recollects, before him and us a Nuremberg of his own time. Similarly, Wagner declines in the score to employ even the most cursory reference to Renaissance music; his guiding spirit here is Johann Sebastian Bach, or rather his own creation of Bach, the ‘history of the interior life of the German spirit,’ according to the contemporary essay What is German? Invention of tradition is seen elsewhere, just as we hear it throughout the score. The Masters’ Nuremberg, now seen at a time of renewed crisis for the guilds and other corporate institutions, is shiny, new, a little insistent, a little desperate. I could not help but think of the Tand both of Sachs’s peroration and of Loge’s description of the Rhinegold. All that glistens, be it in the Rhine or at a guild meeting, is not necessarily gold; indeed Sachs, rightly or otherwise, will condemn it as the very thing the Masters insist it is not; ‘wälschem Tand’, foreign vanity. The ‘real’ world – but is it ‘real’ at all, when we, like Wagner and perhaps like Sachs, read from Schopenhauer? – both disappears and yet remains, projected onto the curtain a night-capped Sachs opens and closes, with increasing difficulty, at the beginnings and ends of the first two acts. Yet the dream world, initiated erotically by Sachs’s sexual approach to Eva in the church, is made up of what he knows, and of what his – and Wagner’s – culture knows. His writing bureau, magnified, becomes the organ, as indeed the furniture generally provides a Nutcracker-like magnification and intensification for the Wahn of the second-act riot; a painting becomes Eva. Most challenging of all, Beckmesser finally becomes Sachs’s alter ego, emerging for a curtain call in matching night dress: a move equally alert to the comedy and to the darkness at the heart of a work whose profundity lies in precisely the matters faux ‘traditionalists’ from the Nazis, and indeed still further back, would ignore and preferably bury. Or is it the other way around? Does the organ, resplendent as a nineteenth-century, Gewandhaus-like invention of tradition, become Sachs’s bureau, and thus nourish via tradition, in a proper sense, his creations, whether artistic or social (manipulation of Wahn more generally)? It is not either-or, of course; Wagner and Herheim are both dialecticians, and so must we, as a responsive, responsible audience, be too. A bust of Wagner makes its ambiguous, multivalent point without exaggeration. Perhaps most telling on a structural level is the way in which Herheim’s staging traces, or rather instigates, Sachs-like manipulation of Wahn – and doubtless Wahn’s manipulation of Sachs. Just as Walther, his song, and Nuremberg’s public are guided, so too are Sachs’s dream and Sachs’s reality. Yes, there are proto-fascist undertones there for those who wish to find them, as suggested by the chilling lighting of a semi-crazed Sachs during his final peroration, yet they may always readily be understood in a multitude of other or at least additional ways; a signal strength of Herheim, as Wagner, is that he asks questions that are too great to be banally ‘resolved’. When, then, the third act begins, the drama continues, but Sachs is in ‘real’, that is night, dress. Has he made the terrible realisation of Schopenhauer’s philosophy? Has he lifted, as does Wotan, through Brünnhilde, the veil of Maya, the principium individuationis, seeing and feeling in the carnage of the world, whether on the banks of the Pegnitz or of the Rhine, not only ‘suffering humanity’, but also a ‘world that passes away’? One can hardly fail to think of Tristan, too, when it comes to such clever game-playing between night and day. And yet, Meistersinger is not, of course, Tristan, not least since Sachs would not become King Marke. That truth is borne out not only in the third act, but even during the Prügelfuge at the close of Act II. The glow worm who could not find its mate, to whom Sachs will refer in the following act, is seen in the mêlée desperately – and graphically – trying to find a replacement. This is no world of idealised Romantic or even sexual love; it is clear-eyed, brutal as the Will itself. And so, the creation of the third act, Wagner’s and Sachs’s, both breaks with and incorporates what has gone before, like the Prize Song itself. What else? The world of fairy tales enters explosively, erotically, frighteningly, during the second-act riot. They also reappear in the following ‘reality’, Red Riding Hood chased in Sachs’s workshop. The Brothers Grimm live in Wagner’s, Herheim’s, and our, imagination; so does Freud, even before the letter. A steam locomotive, recalling Germany’s very first railway line, between Nuremberg and Fürth, brings the girls from the latter, yet they are not quite what they might have been; instead, they are nightmarish dolls. Who is dreaming now, and of what? We also recall Adorno’s critical observations on technology and the instrumentalisation of reason, both in the stagecraft and the very idea of such a production itself; in Schiller’s well-worn yet indispensable typology, this is no ‘naïve’ art, but ‘sentimental’ art with a vengeance. One makes connections, and they will probably be different for each audience member, probably different for each viewing by the same audience member. That is successful theatre direction. For Herheim never forgets that this is theatre; every observation is keen, every member of the chorus is his or her own person; yet by the same token, he never presents effect without cause (Wirkung ohne Ursache: choose from Wagner on Meyerbeer, or Nietzsche on Wagner, according to taste, or indeed reject the terms of the choice itself). If I have written at greater length on the staging than I shall on the musical performances, that is not because I think the latter realm of intrinsically lesser importance; quite the contrary. It is partly because I wished to suggest Herheim’s production formed part of the musical performance, but also partly because, all in all, it was the exemplary experience of this particular night. Daniele Gatti’s conducting of the Vienna Philharmonic surprised me somewhat, especially during the first act, which sounded – and, in terms of the number of strings, I suspect was – somewhat small-scale. Yet as the work progressed, one realised that Gatti’s conception was dynamic in a very real dramatic sense, complementary to that of Herheim, but not identical – representing, furthering the relationship between Wagner’s poem and music. The score bloomed, darkened, expanded as the drama itself; the orchestral performance could be understood to have instantiated a similar dialectical strategy to that of Sachs’s dream. 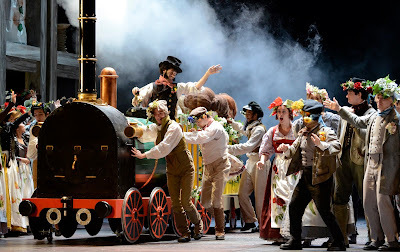 It is certainly not the only way to perform Die Meistersinger, but the scattered boos Gatti – uniquely and undeservedly – suffered seemed more likely to have emanated from those who thought the work ‘must’ sound like a particular recording or misremembered performance from a ‘golden’ age that never was than from thoroughgoing critique. The VPO was not exactly on vintage form, however, sometimes offering a thinness of string tone that went beyond Gatti’s initial chamber imperative. ‘Tradition’ in that case had something in common with Mahler’s Schlamperei. Michael Volle’s Sachs was the undoubted star on the stage. In full command and sympathy with music, words, and production, he inhabited the role, made it his own, and offered more rounded a portrayal than I have ever previously seen on the stage. The Wahn monologue was all the more moving for emerging from what had already passed; this was no mere set piece. Markus Werba offered a finely-honed Beckmesser, navigating with apparent ease – though, like the mediated Prize Song, that ease can only have been apparent – the tricky balancing act between malevolence and Malvolio, learning and charlatanry. Werba did not make the common mistake of unduly dignifying Beckmesser; nor, however, was his creation in any way a caricature. Roberto Saccà experienced certain moments of strain; yet, by any reasonable standards this side of Sándor Konyá, his was an estimable assumption, welding words, text, and stage action in a properly Wagnerian unity. Anna Gabler, as his intended, was at times a little bland of tone, but acted well. She was outshone, however, by Monika Bohinec’s Magdalena, who, in Herheim’s hands, offered a far more interesting second-act Magdalena-as-Eva than I have seen, a true dramatic engagement with and reaction to Beckmesser’s serenade without singing a single world. Not that she could not sing too. 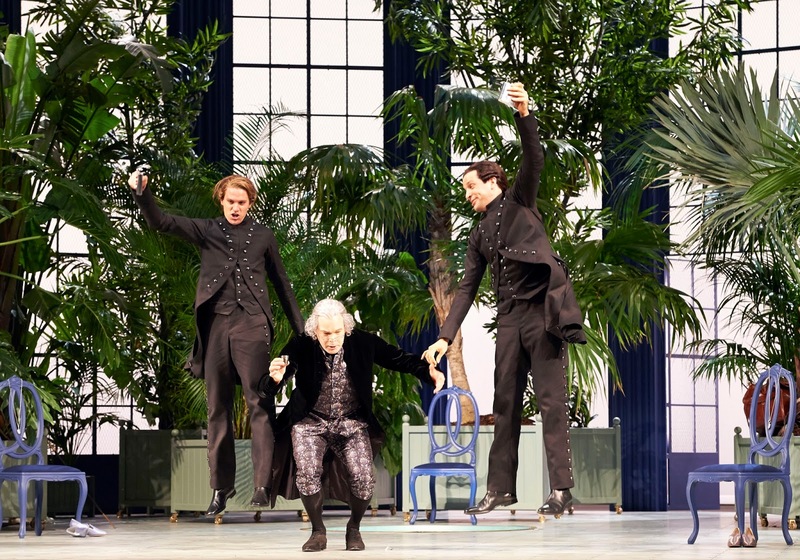 Peter Sonn’s David was bright and bushy-tailed, without offering anything especially distinctive, but there was experience aplenty in Georg Zeppenfeld’s Pogner and Oliver Zwarg’s Kothner. The other Masters were a characterful bunch, and not only on account of Herheim’s alert Personenregie, and the choral singing was pretty much beyond reproach. Had I been asked beforehand which part – ‘half’ would be a little misleading – of this concert would most likely be more successful, I should have said the first: Sir Simon Rattle has long proved a fine advocate for the music of the Second Viennese School. Not that he has no name in Stravinsky, but, without having heard his recent Berlin recording of The Rite of Spring, I have had heard negative whispers, indeed rather more than whispers. As it happened, whilst there was much to admire in both parts, the Rite ultimately proved more convincing. Verklärte Nacht benefited from a wonderful hush to its opening, the build up to Rattle’s unleashing of the full Berlin Philharmonic string tone carefully but not irritatingly handled. What a relief it was to have flexibility yet not to suffer the arbitrary micro-management that nowadays seems to bedevil all of his Beethoven, Brahms, Mahler, and much else. There was variegation to the Berliners’ playing too, though as time went on, there was a surprising tendency to the homogeneous, as if they were being directed by Karajan on a bad day. (At his best, of course, Karajan was a superlative conductor in this repertoire.) Turbulence registered in the bass: there were times when I even thought of Schopenhauer’s idea, partially adopted by Wagner, of music as the representation of the Will. (Schoenberg’s relationship with Schopenhauer, not entirely incidentally, was complex, and subject to considerable change. Last year, I worked in the Arnold Schoenberg Center, deciphering and reading the composer’s marginal annotations, and have an article in mind on that very relationship, when time permits.) Perhaps there was a slight tendency towards rushing at climaxes, but at least the performance was not staid. Indeed, its propulsive quality, especially during the first half, painted Schoenberg very much as a modernist rather than mere ‘late Romantic’. Alas, that energy petered out somewhat during the second half, which, astonishingly, bore little sign of transfiguration, let alone of ‘Viennese’ sweetness. An increasing edge to the Berlin strings went hand in hand with a resolutely earthbound turn: a pity, a real pity. The audience, however, was enthusiastic; perhaps it was relieved not to have heard, say, the Variations for Orchestra, op.31. The ever excellent Barbara Hannigan joined the orchestra for Berg’s Three Fragments from ‘Wozzeck’. Part of the problem here lay with the piece, or rather the extraction, itself; I am sure it served its purpose once, but now one simply misses what is not there. It seems to convince more when performed without a soloist; here, there is something odd about a single soloist taking the parts of Marie, the children’s chorus, and Marie’s son, an oddness that adds to the sense of arbitrary disjuncture. That said, the first piece was wonderful. The BPO opened with a sadness that suggested nostalgia and yet went beyond it; Mahlerian militaristic parody soon added edge, lest one fear self-indulgence. Hannigan’s command of diction and meaning was second to none, and so far as I could tell, was pitch-perfect too, quite a change from many performances one hears. Nietzsche’s ‘voluptuousness of Hell’ (of Tristan) was certainly to be heard in the final stanza, as the child fell to sleep, a rich irony in more than one sense. In the second piece, the terror of realisation, of shame and sin, proved as searing as it could out of context, Hannigan’s part enhanced by the sweetest of violin solos. Rattle for the most part handled the ensuing transformation very well, Berg’s phantasmagorical colours finely balanced between precision and something approaching its eerie opposite. The great climax was extremely powerful, yet it did not quite register with the dramatic force for which one hopes; perhaps that was a matter of the fragments themselves, but there seemed a partial lack of identification with Berg’s post-Mahlerian truth, both from conductor and orchestra. Hannigan’s final ‘Hopp, hopp! Hopp, hopp!’ chilled, even if it sounds odd not to come from a child’s voice. The Rite of Spring opened beautifully, indeed in many respects quite mesmerizingly. Its introduction teemed with life, with strong echoes of Debussy, with strangeness too. ‘Life’ and ‘automation’ vied for the upper hand throughout. Old Russia was there too, not least from the tuned percussion; Rimsky-Korsakov can rarely have sounded so close, likewise, and perhaps more tellingly, Mussorgsky. Nor did Rattle’s Rite lack wildness, as one might have feared; growling and grinding offered real rhythmic savagery. Compared with Esa-Pekka Salonen’s staggering recent performance, there was not a true sense of being newly minted, but by ‘normal’ standards, this was an estimable account. The sheer volume and weight of sound from the BPO at the end of the first part was quite something to hear in itself. Perhaps I was being fanciful, but at the opening of the second part, I heard correspondences – surprising correspondences – with the opening of the Berg fragments. Sadness seemed to be held in common, despite the alleged ‘impersonality’ – always exaggerated – of Stravinsky’s ballet. Music of real delicacy followed, Stravinsky’s cellular construction always readily apparent: through, not despite, his use of folk melodies. (Boulez would surely have approved, if his celebrated analysis is anything to go by. So too, I imagine, would have Bartók.) The contrast when full orchestral weight was unleashed had dramatic force beyond any that had been heard before the interval. Strangeness rightly persisted too, though, not least from the splendidly versatile string section. The final sacrifice, however, proved as earthbound – in the wrong sense – as the end of Verklärte Nacht had: a mysteriously frustrating close. 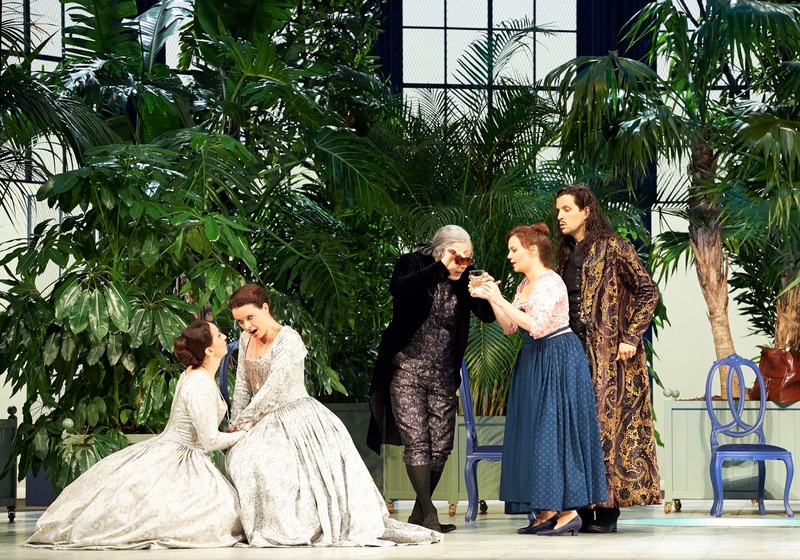 I have scrupulously avoided reviews of the opening night of Salzburg’s new Così fan tutte before writing this review (of the second night: well, afternoon, the performance beginning at the very odd time of 1 p.m.). However, news filtered through to me that it was universally execrated – perhaps an exaggeration, but we shall see – and indeed that Christoph Eschenbach had been booed. I have never held the highest opinion of newspaper journalists, though there are many honourable exceptions; ‘some of my best friends...’ etc. In this case, however, all I can say that either I have been misinformed, or the second night was entirely different from the first (possible), or journalists deserve to sink lower still in our imagination. Whilst this was not the finest Cosi I have heard, or indeed seen, it was superior to many others, and such a reaction, especially when apparently universal – which should perhaps always make one suspicious, were the idea of a Franz Welser-Möst claque not so inherently ridiculous – seems straightforwardly incomprehensible. Let us start with the conductor and orchestra, then. Welser-Möst had made a great song and dance about withdrawing not only from this production, but the projected Da Ponte cycle (Don Giovanni next year, Figaro and the cycle as a whole in 2015), allegedly on behalf of the Vienna Philharmonic, yet the claims of unacceptable rehearsal schedules lose all credibility when any comparison is made with the typical state of affairs ‘at home’, at the Vienna State Opera. Eschenbach’s appointment as replacement seemed at the time to me an interesting and indeed hopeful sign, indicative of Alexander Pereira’s laudable determination, voiced in a press conference I attended in London, that Mozart should not now fall victim to what he all too accurately, if all too tragically, termed the ‘Bach problem’, namely that Mozart should not also fall victim to capture by the ‘authenticke’ brigade and its fellow-travellers. (Having Nikolaus Harnoncourt conduct The Magic Flute last year with the Concentus musicus Wien may sit oddly with that, but may simply betoken genuine open-mindedness. Stranger things have happened. Allegedly.) If this were not a performance with the depth of insight, and indeed of life-long immersion, of the late Sir Colin Davis, or Karl Böhm (how glorious the years in which Salzburg effectively designated Così as his province must have been! ), it was far more than efficient. Tempi were convincingly if not always conventionally chosen; even if there were a few occasions when pit and stage lost touch – for some reason, a surprisingly common occurrence in this opera – they were swiftly corrected. Most impressive was Eschenbach’s sense of chiaroscuro, for which the VPO must also of course share praise. There was not a single ugly sound – perhaps the critics were longing for some of Harnoncourt’s ‘abrasiveness’, the most diplomatic term I can offer – but this was not bland. Lightness of touch did not preclude emotional and, on a few occasions, sonorous profundity. I had expected Eschenbach that would use a larger orchestra; the VPO was essentially reduced to a chamber band, yet that reduction did not entail the clattering of Meissen china. Eschenbach, to my surprise, opted for a fortepiano continuo. It is strange how conductors – and indeed pianists – who would never consider using the period instrument for solo work opt for it as continuo instrument; Riccardo Muti is another example. Quite what the problem with a modern piano is held to be I am not sure, but Enrico Maria Cacciari’s playing was alert and stylish, without exhibitionism, much like the orchestra as a whole. The cast on the whole impressed too, though there was some unevenness. Gerald Finley though was a masterly and masterful – for once the oft-confused words both apply here – Don Alfonso, making his mark through authority and quicksilver response to text and situation, a worthy successor to Sir Thomas Allen, whom I heard more than once in that role here in Salzburg. Luca Pisaroni proved just as distinguished a Guglielmo as he had a Figaro in Claus Guth’s excellent Salzburg staging. Suavely and darkly attractive of voice and presence, his attentiveness to the text was every bit the equal of Finley’s, suggesting the truth of Stanley Sadie’s oft-repeated remark that the presence of an Italian native speaker in a Mozart cast lifted the general level of responsiveness to the libretto. Both singers can act too – and did. Martin Mitterrutzner often sang attractively as Ferrando, but sounded parted by the role a little too often; whether this were just an off-day, or a more general problem, I cannot say. He is certainly an eager stage animal. Malin Hartelius sometimes experienced problems with her coloratura, but by the same token, there was much to enjoy, and her performance improved as it progressed. Mozart, the cruellest of musical masters, if the most necessary for vocal (and instrumental) health and flexibility, of course offers nowhere to hide. Marie-Claude Chappuis offered proper vocal contrast, attractively despatched in vocal and stage terms, as Dorabella, and Martina Janková offered a more musical, less caricatured Despina than most we endure. Choral singing was of a notably high standard, even though there is not that much of it. 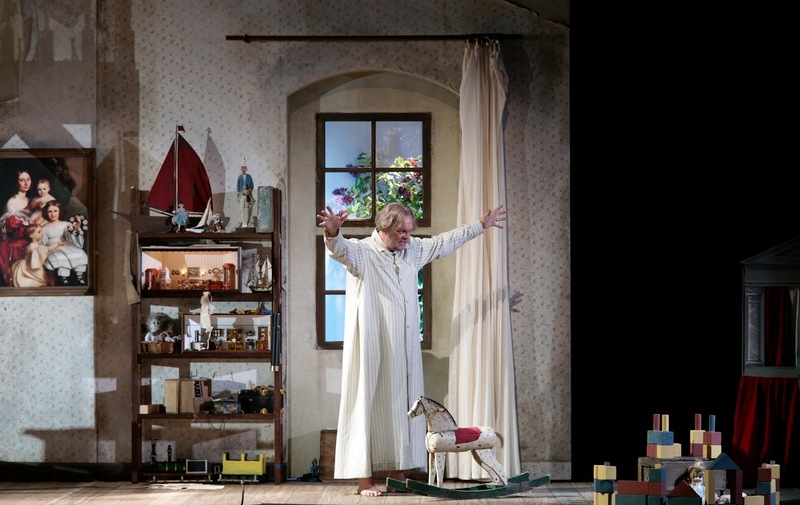 Bechtolf’s staging may not have been the most radical the work has experienced; I retain fond memories of Hans Neuenfels’s 2000 Salzburg staging, the first time I saw the work in the theatre, though sometimes I seem to be the only one who does. But Bechtolf’s staging makes a strong, rather than lazy, case for setting the work in a contemporary setting – contemporary, that is, to Mozart and Da Ponte, as – at the time – it was ‘intended’. It is not set in Naples, but then it is in no sense whatsoever ‘about’ Naples. Indeed, its siting there was probably a matter of evading the censor, who may have disapproved of the work’s ‘immorality’ being set too close to home, as in the alleged ‘true story’ from the Wiener Neustadt – ‘Nea polis’. At any rate, a handsome eighteenth-century setting, with a fine sense of the cusp between Enlightenment reason and proto-Romantic sensibility, was not there to flatter audience members who simply wished to sigh at pretty frocks; it served a dramatic purpose. Sometimes the conflict between those two opposing, or at least not identical, forces is more convincing than at other points. The spa/hot-house setting works well, I think, and put me in mind – though I doubt that this were the intention – of the relationship I have long pondered between Così and the Treibhaus of Tristan. However, the drunkenness of the sisters at the beginning of the second act seems a mistake, exaggerated for effect, and trespassing upon the music, even if it were ‘only’ recitative. 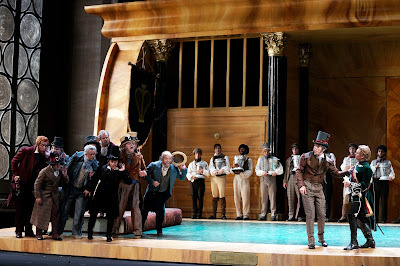 There is nothing other, though, that I should describe as un-musical, which again marks a refreshing contrast with many opera stagings, of whatever hue. Don Alfonso’s drinking of poison at the end is surprising, though again it made me consider complement and contradiction to Tristan. Perhaps Bechtolf was suggesting that Così is not quite so clear-eyed and unflinching with regard to the illusions and delusions of ‘romantic’ and ‘Romantic’ love, or perhaps he was saying the opposite; at the very least, it made me think. 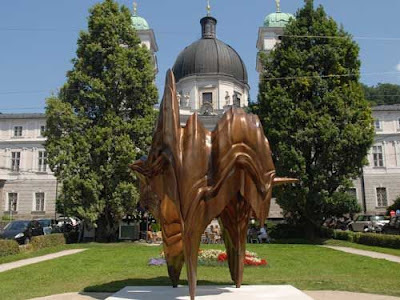 It seemed such a splendid idea: twelve new commissions, all to receive their first performances, each inspired by a different new(-ish) piece of public art in the city of Salzburg, especially since the quality of the latter works is far higher than what we must often endure in the United Kingdom. One expects something of a mixed bag in such situations, and that was certainly the case here; however, even had that not been the case, there was, at least for me, a distinct, indeed insuperable, problem with respect to the presentation. I like to think of myself as capable of enduring the odd musical marathon; as a Wagner scholar, my stamina has perhaps become greater than that of those whose musical experiences focus entirely upon the traditional concert. Moreover, I am very much in favour of experiments with concert form and length, though not necessarily just for the sake of it. Here, however, I simply found the experience too much. A concert of new works, not all of which are likely to become acclaimed as masterpieces, lasting from 7 p.m. until almost 11 p.m., with but one short interval, really did not show off any of the works to good advantage, a difficulty exacerbated by blinding lighting from the stage. (There was more than one instance I spied of a player wincing.) Half-way, or perhaps not even that, through the first half – actually comprised of seven pieces – I struggled to regain the will to live, and cannot imagine that I was entirely alone in that respect. For that reason, I do not intend to go into any great detail concerning the pieces performed; I do not feel in a position to do so, and should rather say little or nothing than be unfairly damning. The first four pieces I could readily have done without. Vykintas Baltakas’s Eselbrücke is inspired by Brigitte Kowanz’s Beyond Recall, a commemoration of the prisoners of war who built Salzburg’s Staatsbrücke between 1941 and 1945. Eselbrücke was brighter than one might have expected, but that was partly the point, I think; however, its post-Stravinskian fanfare quality – presumably intended to portray the hustle and bustle of the modern city, motion without progress? – outstayed its welcome somewhat. Mark Andre’s E2, for double bass and cello, was merely dull: grey and well-nigh interminable. Mojca Erdmann made the first of a number of scintillating appearances in Dai Fujikura’s silence seeking solace, joining a string quartet in a piece that was pretty enough, but which did not evade suspicions of note-spinning. In a way, it was a relief to hear the pop-like repetitions of Mozart phrases in Jay Schwartz’s M, but, despite Dietrich Henschel’s committed performance – he generally seems in his element in new music – it was difficult to think that such post-minimalism (?) amounted to much more than shop-soiled rhythms and silly noises. The other pieces in the first half seemed more substantial, though fatigue did not help their reception. Olga Neuwirth offered a typically finely-wrought ensemble piece (with high soprano, Erdmann), Piazza dei numeri, responding to Mario Merz’s Ziffern im Wald. Despite Neuwirth’s concern that she risked becoming obsessed with numbers – are not most composers, in one way or another? – she bases her score on Fibonacci rows from Merz’s igloo, formed of stainless steel struts, their neon-lit numbers most readily visible in the Mönchsberg evening. (The programme booklet for the concert is invaluable in its provision of such information.) As we heard numbers sung from the igloo, there was a definite sense that music and the image projected on a screen behind the stage – such was the case for all performances – now properly interacted, perhaps even merged. Bruno Mantovani’s Spirit of Alberti played with the Mozartian Alberti bass to iridescent ensemble effect. Matthias Pintscher’s Beyond (A System of Passing) for solo flute benefited enormously from the virtuosity and musicianship of Emmanel Pahud, but it was clearly a major addition to the solo flute repertoire in any case. Reacting to Anselm Kiefer’s Salzburg installation, A.E.I.O.U., the piece, in Pintscher’s own words, ‘enforces a quite different sound [from his preceding work, the orchestral Chute d’étoiles], one of great lightness. It is far more about air, paths, and perspectives – which are also a major topic in Kiefer’s work.’ Paths opened up and closed, likewise the perspectives of which Pintscher spoke; one could well imagine oneself engaging in a Salzburg miniature version (or vision) of Strauss’s Alpine journey. The second half was more consistent in quality, though a certain sameness announced itself in hearing work after work for similar ensemble, even given the variables of vocal contribution. David Fulmer’s Faces of Alwida, the penultimate work to be performed, seemed at first to offer something quite different, and in a sense it did. However, its more ‘Eastern’ soundworld – the usual percussion suspects in particular – soon palled in a piece that sounded stretched to four or five times its optimum length. Nina Šenk and Vito Žuraj proved attentive vocal composers, the former’s In the Absence playful yet touching in its soprano setting of words by Graz artist, Erwin Wurm: ‘bi di bi di bi di bi di/bi di bi di ja zum bi dig e winn.’ Žuraj’s Insideout was the only piece in which Erdmann and Henschel both participated, its struggle between the sexes evocative of the world of music-theatre. Michael Jarrell and Johannes Maria Staud both justified the regard in which they are held. The former’s Adtende, ubi albescit veritas is inspired by Christian Boltanski’s ghostly sculpture in the crypt of Salzburg Cathedral, death and hope confronting each other in a vocal work (Henschel again) whose piano-led ensemble seemed both to mirror and contest Alfred Hofmann’s translation from Augustine. Staud’s piece for soprano, clarinet, and prepared piano offered more than mere contrast. Taking its leave from perspectives thrown up by Tony Cragg’s Caldera, which stands in Makartplatz – not, ‘Markartplatz’, as the programme had it, both in German and in English – Staud’s correspondences between soprano and clarinet, at times almost as one, seem heightened by the piano and ‘active page-turner’, whose lines, in the composer’s words, give ‘depth – a three-dimensionality – to what happens,’ and permit ‘a magma-like proliferation’. I wished that I could hear it by the sculpture itself, on another occasion. Michael Schade’s tenor, especially at this stage in his career, would have to be reckoned something of an acquired taste. His is not a beautiful sound, but the problem goes beyond that; I am not sure that I have heard anyone sing so great a proportion of a recital in his head voice, with a generous helping of quasi-falsetto. That said, he was evidently concerned to recount a narrative, and was dramatically engaged throughout. One probably had to ‘make allowances’, but ultimately there was something moving to his performance as a whole. Likewise Rudolf Buchbinder’s Schubert proved short on charm, even at times on sensitivity. Yet, if one put oneself in the right frame of mind, of receptivity, there were insights to be gleaned. The Träumerei of ‘Morgengruß’ was, if one could pass beyond the flawed vocalism – I could, just about – both rapt and apt. Greater contrast, from both musicians, however, would have benefited the songs that followed, though ‘Pause’ possessed an undeniable dignity. Sanity was already hanging by a thread, if that, in ‘Der Jäger’. Too much? Perhaps, but as I said above, story-telling, and indeed its explication, were priorities for Schade, and laudable ones at that. Moreover, his vocal plangency in ‘Die liebe Farbe’ truly came into its own. Buchbinder’s ‘simple’ voicing of Schubert’s chords in ‘Trockne Blumen’ was, if short on atmosphere, as generally understood, of a starkness that, perhaps even despite itself, had one rethink one’s response. And if ‘Der Müller und der Bach’ seemed too vocally hysterical even for Winterreise, let alone Die schöne Müllerin, the final song, ‘Des Baches Wiegenlied’ proved a beautiful, cruel lullaby; the unexaggerated quality of Buchbinder’s postlude was certainly not without eloquence. I am not sure that encores are ever appropriate following this cycle. Certainly Der Musensohn and a very odd, quite misconceived, performance of Die Forelle felt at best unnecessary. Without dwelling unduly on the latter, I shall simply remark that, in Schade’s performance, it served up what must have been the campest trout to have been fished for a good many years. It is a cliché to say that a fine performance of sets such as Schubert’s Four Impromptus, D 899, and the Three Piano Pieces, D 946, will have them sounding as if sonatas in their own right. They will, but such description also misses a great deal of what makes them so singular, and indeed so moving. In Sokolov’s case, however, there is, as it were, a singularity that is at least squared, perhaps raised to the nth degree. The Impromptus certainly covered a broad range of expressive ground, often bringing to mind the surprising degree of affinity between Schubert and Chopin, without ever quite sounding ‘like’ Chopin. The first statement of the march theme in the C minor Impromptu, for instance, might almost, yet not quite, have been one of those enigmatic opening statements in a Nocturne; the ‘not quite’, however, was just as important, for there was a sense of purpose, which, though certainly not lacking in Chopin, would have been of a different variety, more operatic in a sense, less charged with Schubert’s unique developmental alternative path to Beethoven. Transitions between foreboding rhythmic tread and rippling accompaniment at times seemed to speak of Schubert’s Lieder without ever sounding merely ‘derived’ from them. Intriguingly, there were passages, which, whilst certainly not played in any ‘enhanced’ version, sounded as if conceived – and executed – in a twilit zone somewhere between ‘straight’ Schubert and Liszt’s transcriptions of his songs. The lack of sentimentality in the G-flat Impromptu was most welcome; not that it was stark or crystalline, let alone ‘modernistic’; this was not playing that in any sense recalled, say, Pollini, or indeed the often extraordinary degree of kinship one discovers between Schubert and the Second Viennese School. Yet there was a delight in Schubert’s music as music that was perhaps not so wholly removed from such different aesthetics as one might think in the abstract. Both the Impromptus and still more the Three Piano Pieces seemed almost to inhabit a world beyond time. One had a sense of an expansiveness that went beyond the typical ‘heavenly lengths’ of Schubert, and yet which never threatened to pall. It was not because these were slow performances, but rather a matter of somehow experiencing time differently, so that one travelled a musical – and emotional – journey and yet could immediately have embarked upon another. Formal considerations registered, for instance the rondo forms of D 946, yet, despite sectional clarity, there was no danger of falling into the merely episodic. Transitions were somehow implied when not present, and made to delight when they were. Voicing, again doubtless assisted by the regulation of the instrument, was beyond reproach; it did not, however, sound for its own sake, seeming instead a ‘natural’ expression of the works ‘in themselves’. The Hammerklavier Sonata was one of the works I had heard in Vienna. Its performance somewhat puzzled me then, and in many ways did so now, though there was no question of this being the same reading repeated. Again, I wondered whether a more conventionally regulated instrument might have unleashed truer Beethovenian spirit, but that was only really a question in the abstract. I was involved from beginning to end, and did not once find my attention wavering. There was certainly apt scale to the first movement: scale of ambition and of expressive range. Likewise there were oddities, for instance the presentation of the opening left-hand B-flat, both at the very opening and upon its reappearances: it sounded almost as if it were the first beat of the bar, and yet somehow that ambiguity or even infidelity was made to work, and to sound anything less than perverse. The scherzo sounded as a fleeting dream, weirdly unhinged, almost stream of consciousness, yet remaining anchored at least in implied harmonic motion. It was the slow movement, as in Vienna, which ultimately lost me, but more briefly on this occasion, and considerably later on. I am not at all sure how Sokolov did this, and cannot even really describe what I heard, but there was a sense of losing moorings with Beethoven completely; one passage seemed straight out of Chopin, though it was Beethoven’s notes that were being played. It is certainly not how I should always want this sonata to sound, yet I cannot deny the fascination. The finale was perhaps a little more Apollonian than it had been last year; Beethovenian discontinuities, however, disrupted all-too-easy characterisations. The clarity of Beethoven’s counterpoint simply had to be heard to be believed, though onward drive was every bit as impressive. What a scandal, then, it is that UK immigration regulations mean that one must travel abroad to hear Sokolov (not that, for a minute, I mind being in Salzburg!) I strongly recommend a reading of this article by James Rhodes, whether or no one should agree with the contentious headline. The greatest sadness of all would perhaps be that the Prime Minister, Home Secretary, et al., will most likely never have heard of Grigory Sokolov, let alone heard him in concert. Your reviewer’s spirits were not lifted by checking the Festival website just before leaving for this concert. Birtwistle’s Trio, the principal attraction of the programme, still present in the morning, had been replaced by Shostakovich’s second piano trio. A programme insert informed us that the change had been necessitated by one of the musicians – it did not say which – having fallen ill during the rehearsal period. Such things happen, but given that the programming of works by Birtwistle throughout the festival had been intended to complement Gawain, it was still a great disappointment, heightened by the identity of the interloper. What had already looked an odd collection of pieces looked still odder. With respect to Fauré, I continue to try – from time to time. His second piano quartet is pleasant enough, but I still cannot hear what some others apparently do in this music. The players opened the first movement with turbulence and instrumental richness not so very far removed from Brahms, as if attempting – creditably – already to forge a link with the final piece on the programme. There was some spellbinding pianissimo playing The scherzo proved mercurial, yet did not lack backbone. Gérard Caussé’s noble viola solo launched the slow movement, the obliqueness of whose harmonies proved not without interest, though it remained somewhat placid in character. (Doubtless devotees will point to troubled waters beneath the surface; I wish I could hear them.) The finale benefited from ardent and cultivated playing, with at least a slight sense of a legacy to composers such as Debussy and Ravel, though not without a sense either of high Romanticism. If the conclusion appeared to come out of nowhere, then that is a matter of the piece rather than the performance. Fauré’s quartet, if hardly a masterpiece, is, however, a far superior work to Shostakovich’s typically obvious second piano trio, which nevertheless received an excellent performance. Gautier Capuçon navigated the first movement’s opening harmonics with precision and evident identification. The all too predictable imitative passages that followed were equally finely despatched, likewise the transition to Moderato and the balance between players. Doubtless this was just the right note of hysteria; but once one has heard two or three pieces by Shostakovich, one knows his tricks all too well. The second movement was fast and furious, the excess of fury more than the threadbare material really deserves, yet making an insistent dramatic point out of its repetitions. Again, there could be no faulting the intensity of response in the slow movement, nor the shaping of it progress. 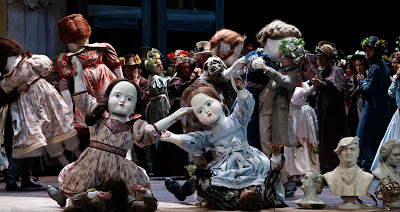 There was excellent advocacy for the typical, all-too-typical dance of ghostly dolls in the opening to the finale, though it was difficult not to find the score itself several vulgarisations of Mahler too far. The all-purpose hysteria pervading so much of the rest of the movement has one wishing it over before it had begun, but the players clearly gave it their all. Is there, though, with the possible exception of Verdi, any more grotesquely overrated composer? Having lost Birtwistle’s piano trio, the Bourdon for violin and viola seemed a little lost at the beginning of the second half. It was good, nevertheless, to hear it, a miniature exploration of the instruments’ characters, paying especial attention to their open strings, albeit with scordatura tuning: both violin and viola tune their lowest string down a semitone and the second lowest up a semitone. The music begins, almost as if tuning up, the prevalence of open strings perhaps inevitably putting one in mind of Berg’s Violin Concerto. There is already, though, a typical sense of temporal refraction, with (relative) violence soon interposed. More than once I heard an affinity not only with the composer’s recent Violin Concerto, but also with the new Classicism characteristic to a certain extent of that work. Soon, one felt quite hypnotised by the almost lullaby-like rocking; all too soon, it was over. It was interesting to note immediately in the first movement of Brahms’s G minor quartet how, in an age of homogeneity, how recognisably ‘Gallic’, in a quite traditional sense, the string tone sounded. It is often difficult, if not impossible, to say what one means by that; yet, one knows it when one hears it. Brahms’s expansiveness was relished, even if the structure were not always quite so clearly determining as it might have been. Metrical complexities, however, were vividly communicated. The second movement offered quiet insistence, the complexities of its central section sung rather than grimacing. But were the outer sections just a little well-mannered? Sometimes the music sounded more like Fauré than Fauré had. Prior tonal richness came to the rescue in the third movement, which received a splendidly songful yet passionate account, which had to be restarted when Renaud Capuçon broke a string. The finale was taken at quite a lick, without sounding harried. ‘Hungarian’ excitement, however, tended to be conveyed at the price of stopping and starting a little too much. Brahms is deeper than this, though such a performance is preferable to straining for a profundity that would only sound appliqué. Nicholas Angelich occasionally glossed – indeed, pedalled – over some piano detail. This was one of the most extraordinary Mahler performances I have heard. Whether it were the best Sixth I have heard I really cannot say; league tables are in any case not so much of dubious value as of none. (Would that our political masters might understand that.) That said, the only rivalling memory I have is of Pierre Boulez conducting the Staatskapelle Berlin in this symphony in 2007. ‘Modernist’ Mahler in both cases, one might say, and there lies a grain of truth in that description; however, the interpretations lay poles apart, leading one to doubt the utility of an all-too-easy designation. In any case, how could a Mahler performance that was not simply perverse not be modernist in character? It would be almost akin to saying that it was not Mahlerian. Boulez’s harrowing performance, however, stood closer to what one might have expected than Michael Gielen’s, equally harrowing. Gielen has never been one to follow received wisdom; his Beethoven offers one of the very few genuinely refreshing standpoints upon the greatest symphonic cycle of all, not ‘new’ for the sake of it, but because he has harnessed his formidable musical intelligence to the music. What might one have expected of his Mahler Sixth? Acute understanding of musical form? Awareness of the music’s proximity to that of the Second Viennese School? A keen ear for instrumental balance? So far, so ‘modernist’; yes, we certainly heard all of that. However, I had expected a brisk, no-nonsense approach, and instead heard what I think – though I never consult my watch in such matters – must have been the slowest performance of the work I have heard. I am guessing, but, judging by the time I left the concert hall, think it must have lasted more than an hour and a half. The first movement, then, began as the symphony meant to go on, though in less extreme fashion, sounding on the slow side, though not provocatively so. The tempo adopted tended to be strict, until it was not, though even then it more often than not sounded as if it were. What do I mean by such (apparent) gibberish? Somehow, and this was a characteristic of the performance as a whole, Gielen pulled off the very unusual ‘trick’ – though that is certainly the wrong word – of managing modifications of tempo so as to sound as if, whether accelerando or ritardando, they were ‘in time’, or rather that being in time at that point entailed increase or decrease of speed. There was little that sounded like, or indeed was rubato; in that, Gielen certainly differed from Boulez, or any other conductor of whom I can think. Indeed, the conductor who came to mind more often than any other was Otto Klemperer, in the sense of what I imagine a Klemperer performance of this symphony might have been like. The granitic integrity was there, likewise the resolute lack of sentimentality; so too were an apparently ‘objective’ approach that yet moved one to tears. (In that respect, I was helpless for roughly the second half of the final movement: tears of horror as Mahler’s nihilistic vision reached a culmination that verges upon the unbearable.) It would be an odd performance indeed that had nothing of the march to the first movement, but I do not think I have heard one in which strict, implacable, militaristic foreboding, based upon an unrelenting march rhythm, was so utterly inescapable. That was not simply a matter of rhythm, but also of prominence of certain parts at certain times, not least the snare drum and some truly awe-inspiring xylophone playing (here and elsewhere). Gielen came closer than anyone else to persuading me of the Andante-Scherzo ordering of the middle movements. I am not going to argue my case here; it has always been that I am willing to be persuaded, but have yet to hear a performance that did so. (Claims on the other side tend to be of a fundamentalist, false positivistic nature.) At any rate, the Andante sang, at a pace, which, considered ‘objectively’, would probably have been considered an Adagio, but never seemed too slow. Maintenance of line was a key aspect of that achievement, yet so was what one might call the Klemperian character of the performance. Not that colour was neglected; the sadness of one particular horn call peered forward to the next symphony’s Nachtmusik. Perhaps what shattered most, however, and this applies to following movements too, were the moments of disintegration, the moments when an idealised version of Adorno’s ‘modernist’ Mahler seemed to become flesh. There was a hollowness that was anything but hollow; there was a nihilism that was yet imbued with belief. Still more so did one hear such ghosts and contradictions in the Scherzo. Gielen’s speed was perhaps, again ‘objectively’, what one might have expected from imaginary Klemperer on a slow day. Yet, as with Klemperer, or at least often with Klemperer, it worked, indeed bludgeoned, its way into one’s Mahlerian consciousness as, if not the only option, then the strongest at the time. I could not quite rid myself of my ear’s warning – or is it simply my mind’s prejudice – that I ‘ought’ to have heard this movement before, nor that it would have made still more sense in its alternative placing; however, as I said, I have never come closer. The terrible finale was certainly not fast, but it was perhaps less far removed from the ‘norm’ in terms of tempo. There was not so vast, so phantasmagorical, an array of colours as I have heard with Boulez, whether in Berlin, or on his staggering Vienna recording. Structural understanding, and, just as important, communication of that understanding, was every bit as impressive, however, and the granitic quality, the sense, common to the entire performance, of struggling against the fatal side proved more than compensation. (Many masterworks, and I am sure that this is one such example, are greater than any one interpretation, however superlative, can encompass.) Cumulative power, of a musco-dramatic quality one can hardly not call Wagnerian, grew until it could not grow further, and yet somehow continued to do so. Indeed, I found myself slightly regretting the omission that is arguably not an omission of the third hammer-blow. This seemed to be a reckoning with Fate on a level with that of the Ring’s ultimate peripeteia, Wotan’s dismissal of Erda. But Gielen – and Mahler – looked forward too. The moments of breakdown, abysses musical and metaphysical, have surely never sounded so close to functional atonality, to Schoenberg himself. The end when it came felt absolutely necessary; all had been said. However, when, following awestruck silence, punctured by a barbarian cry of ‘Bravo!’, and the onset of audience applause, I moved to join in, I found that initially I could barely do so; my hands were shaking. It was, then, as I said at the beginning, an extraordinary performance. I have omitted one extraordinary element, though, both extraneous and anything but. Upon arriving at the concert, we were met by banners, leaflets, pleas for help from members of the orchestra and other supporters. The SWR SO Baden-Baden and Freiburg is, as many readers will know, suffering, along with its sister orchestra in Stuttgart, one of the most disgraceful, philistine attacks upon an orchestra in the so-called civilised world. Despite a worldwide campaign (click here for details on the present situation and how to help) to prevent the reckless merger of two very different orchestras in the name of ‘austerity’, the beancounters have so far proved victorious. Alexander Pereira, Director of the Salzburg Festival, came on stage before the performance to express solidarity with the orchestra and its well-nigh unrivalled record in performance of new music. The defiance of Gielen’s performance was surely in some sense, consciously or otherwise, founded in the desperation of the orchestra’s situation and the defiance of its response. Still more extraordinary, then. This was the third of six concerts in the Hagen Quartet’s Salzburg cycle of the Beethoven string quartets. There was a great deal to admire in both performances, although the Hagens seemed perhaps more attuned to middle-period than to late Beethoven, on occasion slightly recoiling from the radicalism, the ruptures of the latter. Op.132 nevertheless opened with great promise, the first movement’s first bars quiet yet febrile, here seeming almost to presage Bartók. The Allegro proper did not simply begin, but emerged from the former material, with a dialectical sense of interplay, indeed mutual self-definition, between and of those two ‘characters’. This, perhaps the finest movement of the performance, with considerable cumulative power and emotional intensity, proved admirably open-ended in terms of possibilities lying ahead, yet anything but lacking in inevitability when considered even immediately after the musical event: not the first time anyone has mentally connected Beethoven’s and Hegel’s dialectical methods. If the following Allegro ma non tanto lacked the final degree of rhythmic definition, it retained a good sense of the threat to disintegrate, the trio offering a properly transcendental swing, with well-judged disruption in that extraordinary passage in unison. Opening warmth in the Heilige Dankgesang was aptly followed by austerity, Beethoven’s working out of those two characters again proving key to the movement’s progress, Palestina haunting productively. The ‘Neue Kraft fühlend’ section’s sense of leisurely propulsion was splendidly conveyed, not least through the offices of a slight drag to its early first beats; likewise the final bars of the movement proved wondrously luminous. Rhythmic impetus was tied, as it must be, to harmony in the final two movements, though I could not help but wish for a greater expressive range. It was fine quartet playing, without a doubt, but might have been taken further to the edge. This is, after all, a sibling to the Missa solemnis, yet this is perhaps not the most Adornian of ensembles. The opening to the second Razumovsky Quartet offered vehemence, immediately followed by withdrawal; again, the working out between those two tendencies would be the stuff of the first movement as a whole. I was reminded quite how extraordinary, even now, it remains that so much music can be inherent in so little (at least apparently so little) material. Form ultimately proved more dynamic than it had in the performance of op.132, and the Hagens seemed more willing to travel to expressive extremes, if still with a greater reticence than some groups. That reserve was occasionally apparent in an expansive account of the slow movement; when it was cast off entirely, however, the expressive rewards were rich indeed. Though it certainly did not lack vehement impetus, the third movement remained – fair enough – in the realm of cultivated string playing; abandon is not really the Hagens’ style, but it does not really need to be. The trio nevertheless gave a sense of digging deeper still, middle-period Beethoven made, if anything, to sound still more radical than his later counterpart. Ambiguities, tonal and otherwise, throughout the motivic working of the finale. There was little doubt that the Hagen players had found their Beethoven.